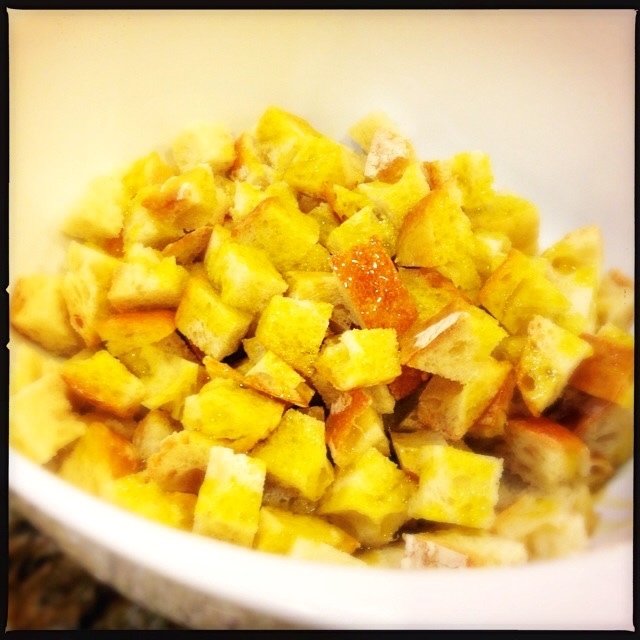 When good bread goes bad (or at least, goes stale) make croutons! 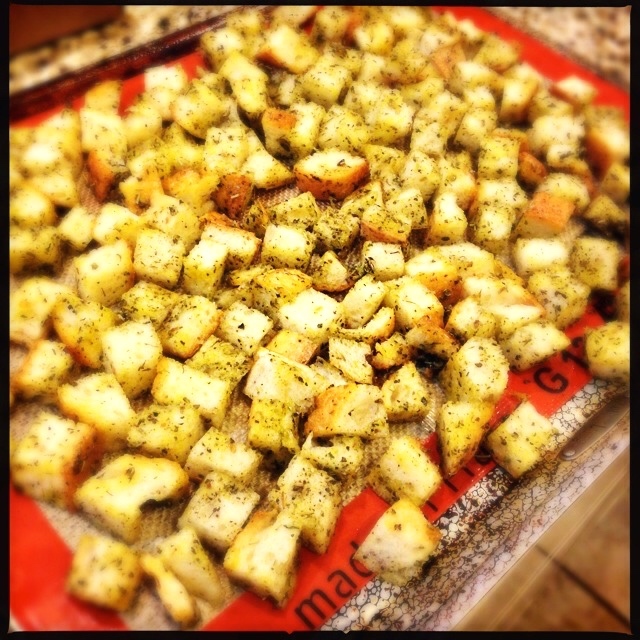 Homemade croutons taste better than anything you can get at the store: good crunch, savory seasonings, and a nice salt in the background. And because you are making them, you can control the flavors you use so they will taste exactly the way you like them! Cube the bread into small cubes. They are better cubed small than cubed large. Put them into a large mixing bowl, and add about 1/2 cup of olive oil (you can use your favorite oil instead). 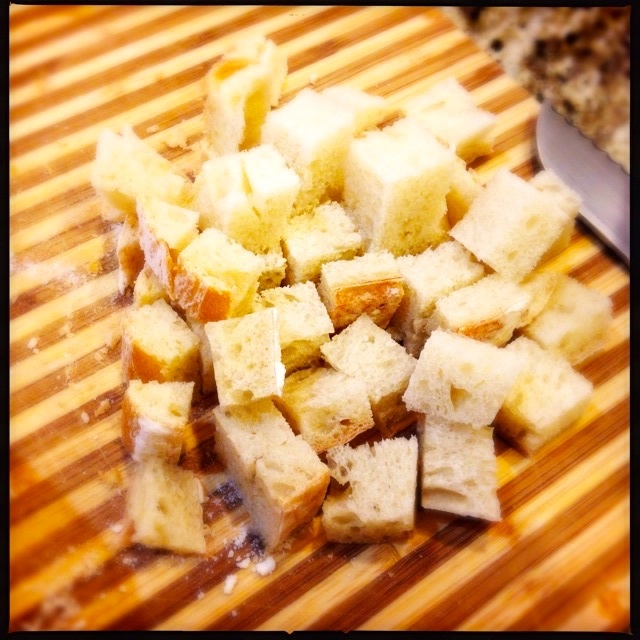 Make sure to spread the oil all around the bread cubes as you pour it on, and then toss the bowl (or stir with a spoon) to mix the oil all around the bread. Once the bread is well covered in oil, add your seasonings. 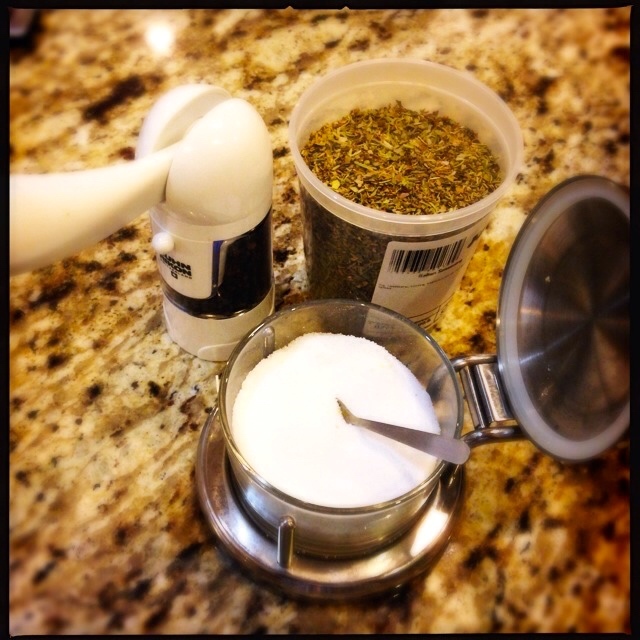 I keep this easy and use an Italian herb mix and salt and pepper. 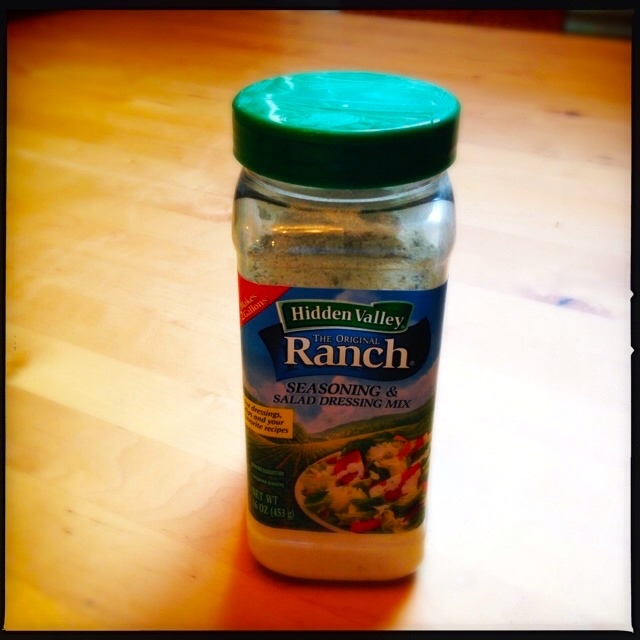 Because these are so easy to make, you should feel free to try seasoning these different ways. 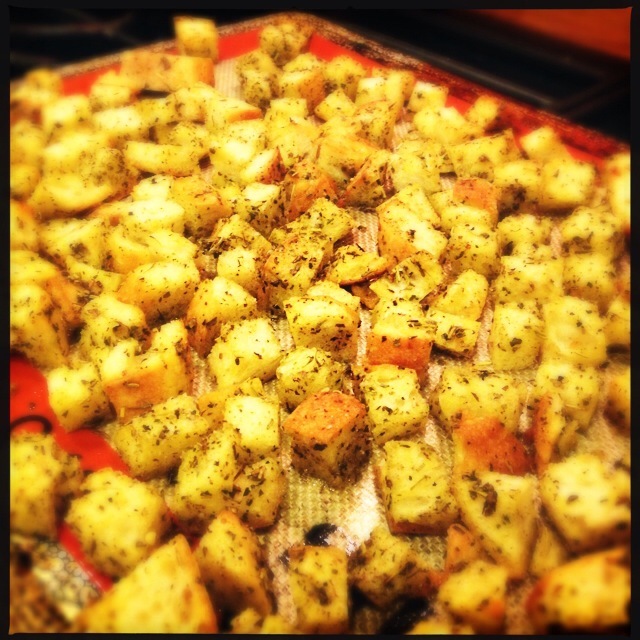 If you want to try two different types of croutons, mix them in separate bowls and cook them on separate baking sheets. 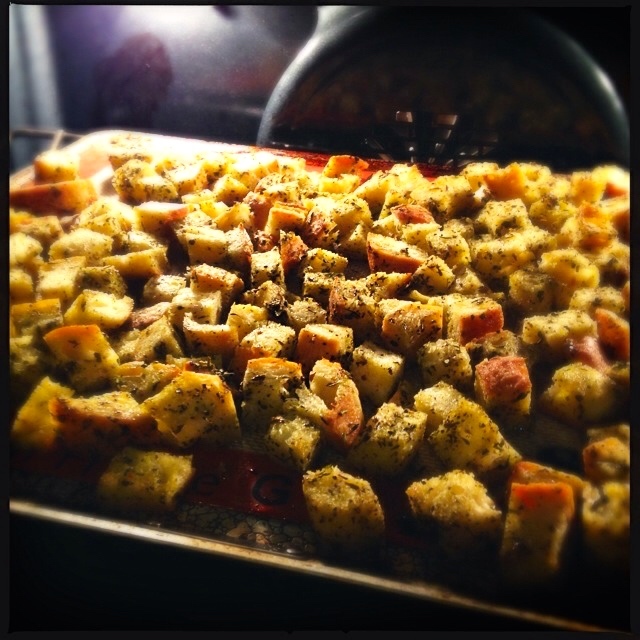 Once the bread cubes are well seasoned, spread them out in a single layer on a baking sheet. I like to use a nonstick Silpat pad under them, but you don’t have to. Bake them in a 375 degree oven for about 15-20 minutes, but keep checking them so you don’t burn them. Let them cool well, 30-45 minutes or more, and then store them in a bag. They will last a few days, and a few days longer if you refrigerate them. If your house is anything like ours, they won’t last long…and may not even make it into the bag! Cube the bread into small cubes. Add the olive oil, making sure to coat all the bread. 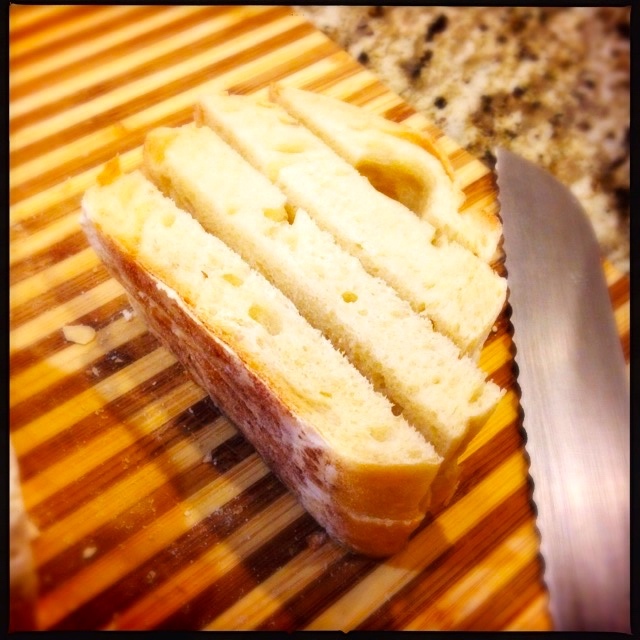 Toss the bread or mix it with a spoon to evenly coat the bread. 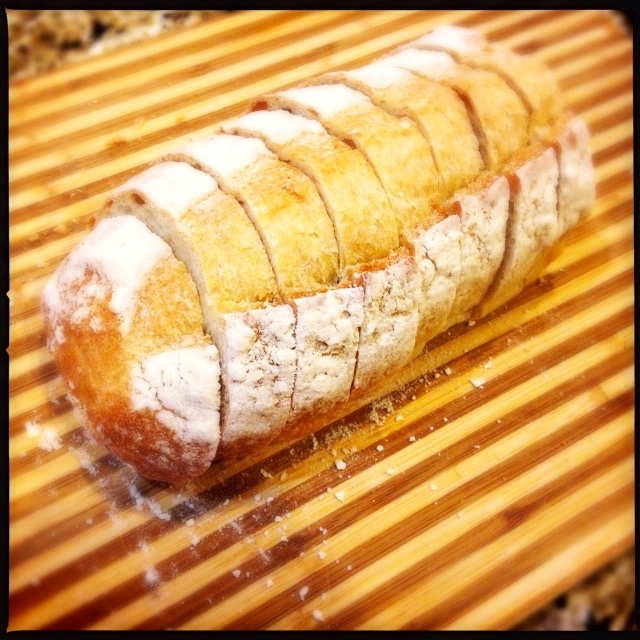 Add the salt, pepper and seasonings, and toss or mix with a spoon to evenly coat the bread. Cook on 375 for 15-20 minutes, until crisp but not burnt. Let cool for 30-45 minutes and then store in a plastic bag. They will keep 3-4 days, longer in the refrigerator.